Just a quick update here from us on the Black Coffee Brew Down we hosted last Friday. 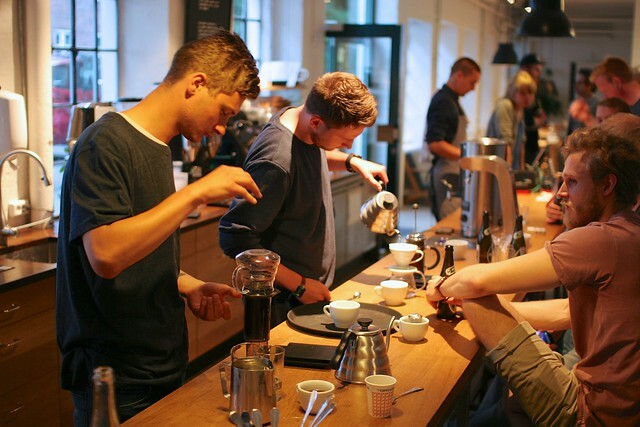 Politiken's iByen had been to the last Brew Down and really captured the feel of the event and why we (baristas) feel it's important. "When you drink coffee black, you have it in its purest form. And if it has been treated carefully on it's journey from soil to table, you can have a nuanced and aromatic taste experience" [my poor translation] says Omar Maagaard in the article. With these Brew Downs we hope to achieve the same feeling and excitement as we've experienced with the Latte Art Throwdowns. Admittedly, this is a slower pace, less entertaining to watch and quite possibly more geeky. But we're happy to see so many other shops turn up to these events. I'm sure it's not long before other will start hosting them too. 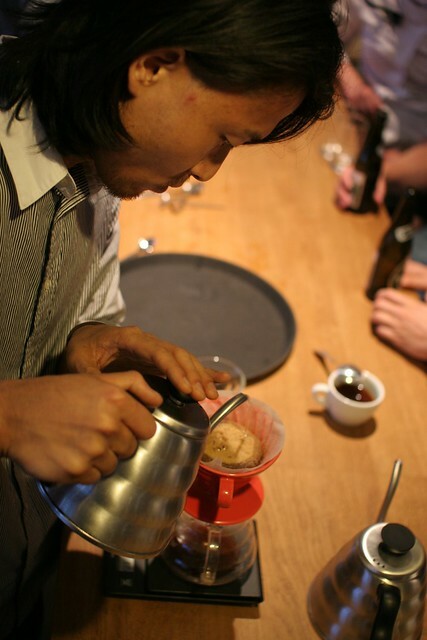 The winner of the evening (who took home the pot and a Kalita Wave Glass Brewer) was Mr Nobuaki Matsui from Democratic Coffee. Big congratulations to him and a huge thank you to everyone who participated for a fun evening!